Extensive exercises by the People’s Liberation Army Air Force (PLAAF), the Chinese air force, in the Tibet Autonomous Region (TAR) across the disputed Line of Actual Control (LAC), and enhancement of Chinese aviation infrastructure in the region, have prompted the Indian Air Force (IAF) to activate plans for greater deterrence in the eastern sector, including deployment of six units of the Akash missile system. 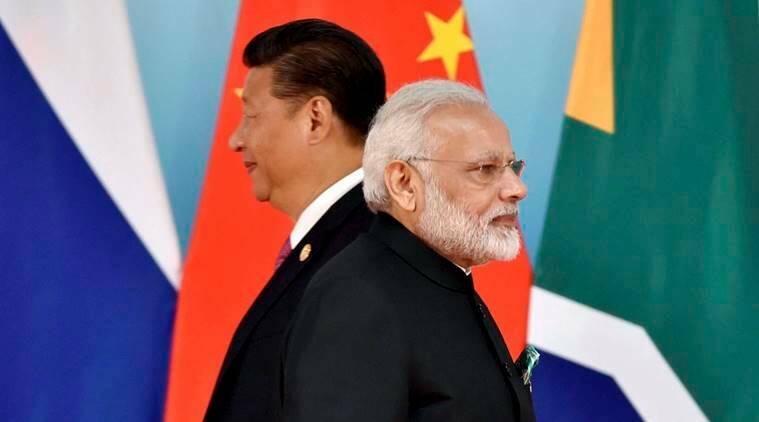 For the contentious eastern border with China, the IAF also plans to deploy a squadron each of Chinook and Apache helicopters, besides the Russian S-400 missile system and a squadron of the Rafale fighter aircraft. While the induction of Chinook and Apache helicopters is scheduled to be completed by 2020, the S-400 air defence missile system and Rafale fighter jets will be inducted by 2021, sources said. Discussions are also underway for induction of one more squadron of the Sukhoi Su-30MKI fighters in the region, in response to increased Chinese activity across the LAC. The total import substitution based on IAF consumption of biofuels alone could reach Rs 25,000 crore by 2024. 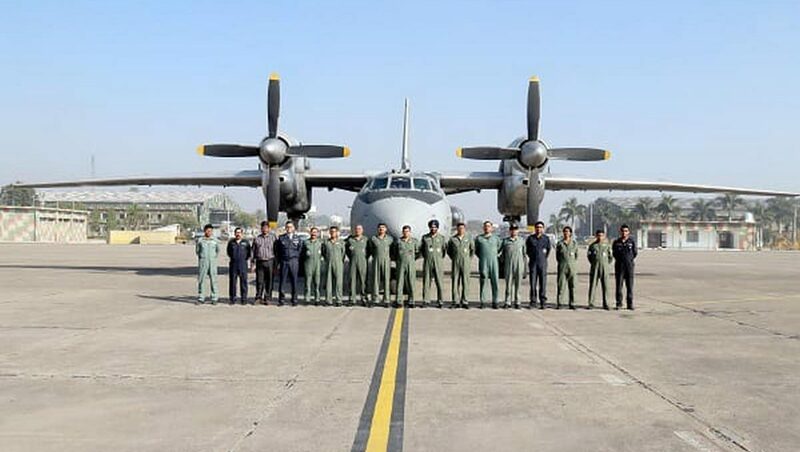 The Indian Air Force (IAF) wants to go the biofuel way and the first flight of Antonov AN-32 aircraft using blended biofuel this week was a significant technical milestone. This was the first time a Russian aircraft had been flown with a biofuel blend, and the IAF and other project stakeholders had conducted all the work leading up to the test flight with no OEM involvement. It comes less than five months after Air Chief Marshal B.S. Dhanoa committed to fly a biofuel aircraft over New Delhi on Republic Day 2019. The breakthrough could eventually be key to a significant reduction in IAF’s operating costs and the establishment of India as a serious player in the global market for biofuels. Sources in Air Headquarters indicated Monday that the total import substitution based on IAF consumption alone could reach Rs 25,000 crore by 2024, creating a strategic advantage for India in terms of fuel dependence and reserves, as well as reduced forex outflows. 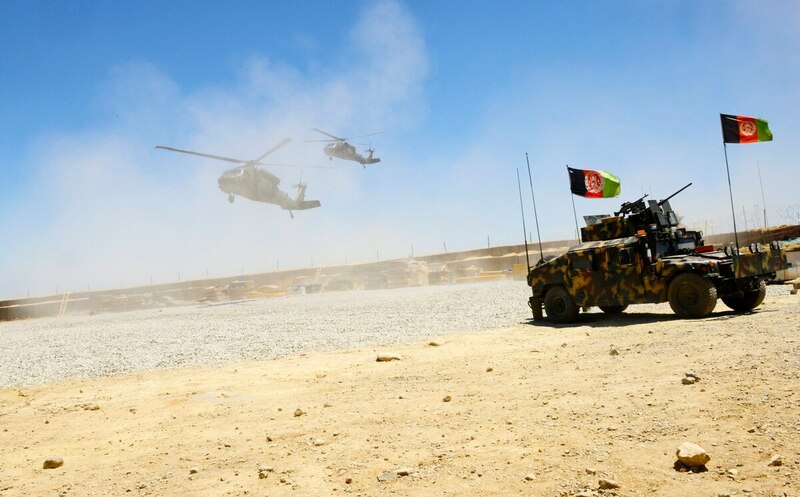 President Donald Trump has directed the Pentagon to withdraw thousands of U.S. troops from Afghanistan in coming months, with an eye towards ending the 17-year deployment of American forces there, a U.S. official confirmed to Military Times. 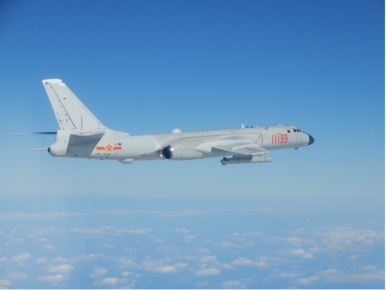 The PLAAF aircraft took off yesterday morning from undisclosed airfields in China’s Guangdong Province and flew over the Bashi Channel, a strategically pivotal waterway connecting the South China Sea with the western Pacific Ocean, into the Pacific before returning to their home bases. It is unclear whether the aircraft circumvented the island. The aircraft were supported by two People’s Liberation Army Navy warships, which were spotted by Republic of China Navy vessels and ROCAF aircraft just outside Taiwan’s southeastern air identification zone. 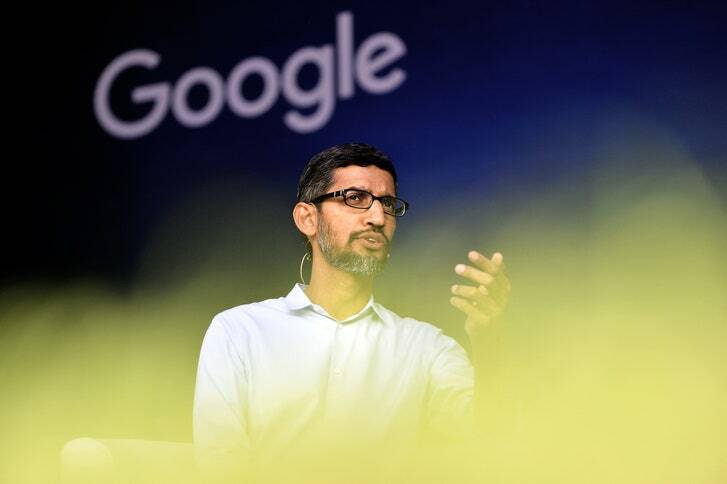 Google's first foray into Chinese markets was a short-lived experiment. Google China’s search engine was launched in 2006 and abruptly pulled from mainland China in 2010 amid a major hack of the company and disputes over censorship of search results. But in August 2018, the investigative journalism website The Intercept reported that the company was working on a secret prototype of a new, censored Chinese search engine, called Project Dragonfly. Amid a furor from human rights activists and some Google employees, US Vice President Mike Pence called on the company to kill Dragonfly, saying it would “strengthen Communist Party censorship and compromise the privacy of Chinese customers.” In mid-December, The Intercept reported that Google had suspended its development efforts in response to complaints from the company's own privacy team, who learned about the project from the investigative website's reporting. Over the last five years, China has turned its contrived historical claims to the South China Sea into reality and gained strategic depth far from its shores. China's leaders did not leave that outcome to chance. MANILA – It has been just five years since China initiated its major land reclamation in the South China Sea, and the country has already shifted the territorial status quo in its favor – without facing any international pushback. The anniversary of the start of its island building underscores the transformed geopolitics in a corridor central to the international maritime order. The grisly and brutal murder of the Saudi journalist Jamal Khashoggi, a former regime insider and mild critic of the crown prince, in Istanbul in October 2018 was just such a surprise. The Saudi regime has dealt brutally with its critics abroad in the past, but never in such a flagrant way. The crown prince is obviously responsible for Khashoggi’s death, despite official Saudi denials and attempts by the administration of U.S. President Donald Trump to question his role. The de-militarized zone (DMZ) agreement reached by Russia and Turkey in Sochi on September 17—intentended to stabilize the “Greater Idlib” region of northwest Syria (which includes all of Idlib governorate and parts of northern Hama, eastern Latakia, and western Aleppo governorates)—has been tested recently by the activities of the most prominent militant Salafist organization in Syria. Hay’at Tahrir al-Sham (HTS-Organization to Liberate the Levant)—which includes a large part of the former Syrian affiliate of al-Qaeda Jabhat al-Nusra (JN-Victory Front)—continues to conduct attacks against the Assad government, despite the Sochi agreement (Horrya [Idlib], December 15; Okaz[Riyadh], November 2). The continued military activities of HTS in the Idlib DMZ has created tensions between Russia and Turkey; led to a large mobilization of Assad government forces on the periphery of the zone; and resulted in significant kinetic activity by the Syrian military inside the DMZ since September (ETANA, December 10; al-Monitor, December 5; Enab Baladi [Idlib], December 2). At an Ohio rally in March, President Donald Trump announced that the United States would leave Syria “very soon.” Discussions within the administration after the remarks ultimately led Trump, by September, to commit to a broader plan to remain in the country to ensure the defeat of Islamic State. Despite that official recommitment, Trump’s words in Ohio did great damage, notably by eroding trust in and among the Kurdish-dominated forces. Before Ohio, the popularity of the U.S.-backed force was actually growing as it drove out ISIS from much of the country and created a de facto safe zone that Bashar al-Assad would not dare to bomb or attack. Widespread goodwill promised to ease the process of creating local and legitimate alternatives to the extremists and the regime in nearly one-third of Syria. In the children’s book version of history to which Raab and his ilk subscribe, Britain’s glorious past can be traced to a single source: not to geography; not to the global empire that supplied it with wealth, soldiers, and the control of world trade; not even to its abundant harbors and easily mineable coal; nor to the migrants who helped birth the industrial revolution. The secret to British greatness lies simply in this: the sheer pluck and determination of its people. In June 2017, some eight months after the election of Donald Trump as U.S. president, Kremlin operatives running a digital interference campaign in American politics scored a viral success with a post on Instagram. The post appeared on the account @blackstagram__, which was in fact being run by the Internet Research Agency, a Kremlin-linked troll farm that U.S. authorities say orchestrated an online campaign to boost Trump’s candidacy in 2016. It racked up 254,000 likes and nearly 7,000 comments—huge numbers for the Kremlin campaign. But oddly, the post contained no political content. President Donald Trump, first lady Melania Trump, former President Barack Obama, former first lady Michelle Obama, former President Bill Clinton and former Secretary of State Hillary Clinton listen during a state funeral for former U.S. President George H. W. Bush at the Washington National Cathedral on Dec. 5, 2018 in Washington, DC. A recurring theme of foreign-policy commentary since 2016 has been the prior status and uncertain future of the so-called liberal order. Some writers question whether a liberal order ever existed or challenge its alleged virtues, while others are quick to defend its past achievements and bemoan its potential demise. If there is a consensus among these various commentators, however, it is that U.S. President Donald Trump poses a particular threat to the U.S.-led, rules-based order that has supposedly been in place since 1945. If only Hillary Clinton had become president, some believe, the United States would have remained the “indispensable nation” guiding the world toward a more benign future, and the familiar elements of a rules-based order would be thriving (or at least intact). Washington (CNN)President Donald Trump has ordered staff to execute the "full" and "rapid" withdrawal of US military from Syria, declaring that the US has defeated ISIS. "We have defeated ISIS in Syria, my only reason for being there during the Trump Presidency," Trump tweeted Wednesday morning. 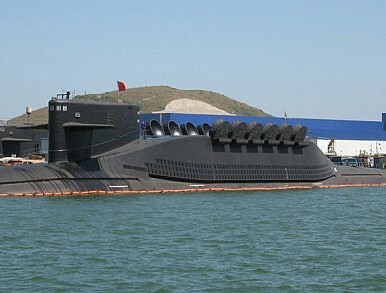 Planning for the pullout is already underway, a US defense official and an administration official told CNN. The decision, a sharp reversal from previously stated US policy, surprised foreign allies and lawmakers, sparking rebukes, rebuttals and warnings of intensified congressional oversight, even as the White House said troops are already on their way home. "I'm pretty annoyed," said Sen. Lindsey Graham, a South Carolina Republican and Trump ally, who told CNN's Manu Raju the President's decision was "Obama-like" -- a reference to President Barack Obama's decision to pull troops out of Iraq in 2011, which critics say gave rise to ISIS. Graham said the role of Congress is "to make administrations explain their policy, not in a tweet, but before Congress answering questions." In June 2017, the NotPetya virus crippled many large companies including Merck and Mondelez (the manufacturer of Nabisco, Cadbury, and Toblerone). The aggregated losses, including property damage, operational disruptions, and supply chain disruptions, added up to hundreds of millions of dollars per large corporation. The billion dollar question: who would bear this loss? A case in Cook County, Illinois, will provide at least a partial answer. By way of background, companies mitigate the risk of losses through their Commercial General Liability (CGL) policy. The policy protects the company from extraordinary events. CGL policies generally offer coverage for bodily injury and property damage claims, but CGL policies did not protect against most cyber losses. Most insurance policies now specifically exclude coverage for such losses. Corporations have responded by purchasing customized cyber liability coverage. Cyber insurance offsets the CGL cyber exclusion. Cyber policies specifically cover losses stemming from computer operations. Most combine traditional liability coverage protecting against third-party claims with first-party coverage that protects the insured. Over half of the population claims to regularly see fake news on sites such as Facebook or Twitter. Yet, despite fake news being more commonplace than one would think, social media companies have been highly ineffective in doing anything — except around the most egregious events. Next year, this trend will increase substantially, especially as our nation gears up for the 2020 elections. The most notable example of hackers leveraging fake news was when Russian agents used misinformation campaigns, including 3,500 divisive Facebook ads, to allegedly influence the 2016 U.S. elections (CNBC). Such instances have made it clear to malicious actors that it is just as impactful to influence an election by stirring the pot as it is to directly attack voting machines. As we continue to see more instances in which false campaigns on social media impact our nation, we will begin to see more regulation of social media, especially around key, controversial topics. Cyber insurance - not worth the paper it's printed on? Cyber-crime and cyber-attacks are amongst the biggest threats facing UK, and worldwide, businesses, and reports would suggest they are on the rise. In August 2018 over 215,000,000 records were leaked, including data from a Chinese hotel chain affecting up to 130,000,000 customers. In the UK the NHS was effectively crippled by the “WannaCry” ransomware attack in May 2017 which locked computers, encrypted files and demanded a payment in BitCoin. WannaCry attacks were directed at Russia’s Interior Ministry and the international shipper FedEX and Spanish telcom company Telfonica were among other high-profile targets. In December 2017, the US and UK laid the blame for the attacks on North Korea. Governments used to be cautious about attribution in cyber-attacks but it is becoming increasingly common. CAN U.S. FIGHT 2 COLD WARS AT ONCE? 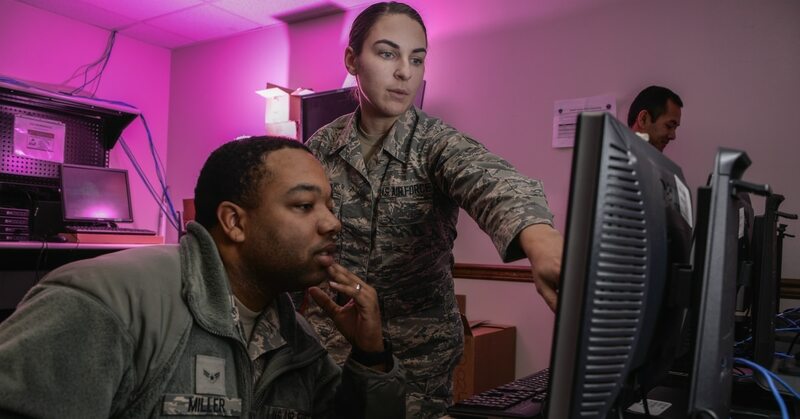 The military services are exposing networks to “unnecessary cybersecurity risks” thanks in part to a lack of visibility over software application inventories, according to a Department of Defense Inspector General report. The IG investigated whether DoD components rationalized their software applications by identifying and eliminating any duplicative or obsolete applications. Rationalizing software applications seeks to improve enterprise IT by identifying all software applications on the network; determining if existing applications are needed, duplicative or obsolete; and determining if applications already existing within the network prior to purchasing new ones. The audit — which focused on Marine Corps, Navy and Air Force commands and divisions — found that the groups examined did not consistently perform this rationalization process. By not having visibility into software application inventories, these organizations were unable to identify the extent of existing vulnerabilities within their applications, the report found. All U.S. administrations aim to conceive foreign policies that protect and enhance Americans’ safety, prosperity, and way of life. However, views now diverge considerably within and across political party lines about whether the U.S. role abroad is adequately advancing the economic well-being of the middle class at home. Today, even as the U.S. economy is growing and unemployment rates are falling, many households still struggle to sustain a middle-class standard of living. Meanwhile, America’s top earners accrue an increasing share of the nation’s income and wealth, and China and other economic competitors overseas reap increasing benefits from a global economy that U.S. security and leadership help underwrite. 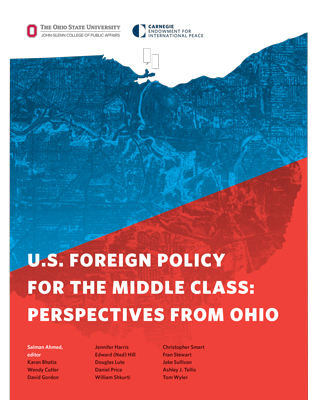 Policymakers need to explore ways to make U.S. foreign policy work better for America’s middle class, even if their economic fortunes depend largely on domestic factors and policies. However, before policymakers propose big foreign policy changes, they should first test their assumptions about who the middle class is, what economic problems they face, and how different aspects of U.S. foreign policy can cause or solve them. They need to examine how much issues like trade matter to these households’ economic fortunes relative to other foreign and domestic policies. They should acknowledge the trade-offs arising from policy changes that benefit some communities at the expense of others. And they should reach beyond the foreign policy establishment to hear from those in the nation’s heartland who have critical perspectives to offer, especially state and local officials, economic developers, small business owners, local labor representatives, community leaders, and working families. The Australian government has compromised the digital privacy and security of countless Australians, ironically, in the name of protecting national security. Home Affairs Minister, Peter Dutton, has repeatedly targeted digital encryption, which many websites and apps employ to secure user data, as an ominous roadblock standing between intelligence officers and transnational crime syndicates and pedophiles. His efforts worked. Parliament recently turned their ire into law, after Dutton pilloried large tech companies for their supposed recalcitrance when it comes to working with governments to decrypt and hand over user data. The new law allows the government to request or coerce any communications service with an end-user in Australia to build tools that would weaken encryption protocols. WASHINGTON: Seeking to stop Russian-made anti-tank missiles, the US Army will buy Israel’s Iron Fist Active Protection System for a brigade of its M2 Bradley armored vehicles, Breaking Defense has learned. The decision comes after weeks of confusing statements by Army officials and months of delays fitting the high-tech active protection on a Cold War-vintage vehicle — one already upgraded to the limits of available space, weight, and electrical power. Full execution will also have to await the 2020 budget or at least a congressionally-approved reprogramming: The Army currently has only $80 million of the approximately $200 million required to buy and install Iron Fist on an armored brigade’s 138 Bradleys, plus spares.